Seacrest out ... of legal trouble with BlackBerry. But it also means no more Typo keyboards for iPhones. Typo Products, the maker of a keyboard attachment for touchscreen mobile devices backed by "American Idol" host Ryan Seacrest, agreed on Monday to settle two disputes filed against it by BlackBerry. 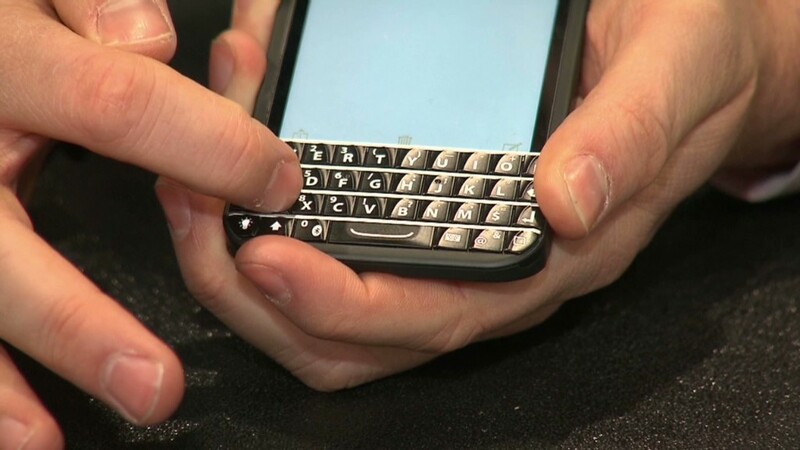 BlackBerry (BBRY) was suing Typo for patent infringement, alleging that the keyboard cover for IPhones was a "blatant" copy of the QWERTY keyboard on many BlackBerry phones. As part of the settlement, Typo has agreed to stop selling keyboards for devices with a screen size of less than 7.9 inches. That's essentially every smartphone on the planet. Typo had already been prevented from selling the keyboards for phones after a California judge ruled last year that BlackBerry had "established a likelihood of proving that Typo infringes the patents at issue." But a judge fined Typo $860,000 earlier this year for continuing to sell the keyboards after last year's injunction. A look at Typo's website now shows that the only products it is currently selling are keyboards for Apple's (AAPL) iPad Air and iPad Mini. So the loss of the iPhone keyboard could be a big blow for Typo. Tablet sales have slumped as the iPhone and other larger screen phones have become more popular. BlackBerry filed its first lawsuit against Typo in January 2014 just as the original Typo keyboard attachments were making their debut at the Consumer Electronics Show in Las Vegas. Seacrest was a co-founder of Typo and reportedly invested $1 million in the firm. He and fellow co-founder Laurence Hallier started to promote the Typo in December 2013 as a way for people who love iPhones but hate typing on a touchscreen to ditch their BlackBerries. Unsurprisingly, BlackBerry was not thrilled with this. Even though BlackBerry has made moves to emphasize software under CEO John Chen, the company is still fiercely protective of its hardware intellectual property. It also prides itself on continuing to sell some phones with the old-school keyboard. It launched the BlackBerry Classic last year. And Kim Kardashian even professed her love of the BlackBerry (and confessed to having a stash of extra phones in case the company goes 'extinct') at a tech conference last fall. BlackBerry did not have any further comment about the settlement. Typo was not immediately available for comment.